Familias Unidas por la Justicia is a union of farmworkers in Washington state that has launched an international boycott of berries from Sakuma Bros Farm. Many of them are sold under the Driscoll’s label, so the union has demanded that grocery stores stop carrying the brand, and that consumers do not purchase them. Familias Unidas has fought for and won important gains for workers, but they still face deplorable conditions. Child labor, pesticide exposure, and wage theft are common in the industry. Most of us owe our health and basic survival to farmworkers. 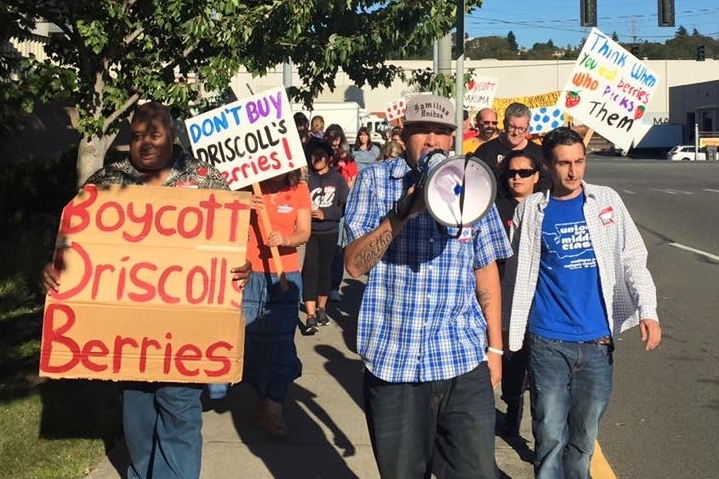 Please join the DC boycott solidarity committee to help raise awareness about the boycott, and pressure our grocery stores to drop Driscoll’s Berries.